Robert Jon and the Wreck is back with its self-titled album, the group’s third full-length studio release. The album follows 2016’s Good Life Pie, which landed #14 on Blues Rock Review’s top 20 albums list that year. This self-titled effort features eight tracks of the southern blues rock we’ve come to expect from Robert Jon and the Wreck. The album kicks off with “Old Friend,” a song about moving on from an ex-girlfriend and features a sing-along chorus and some tasty slide guitar from Kristopher Butcher. “Let It Go,” a soul track, follows and features Steve Maggiora on keys. “I Know It’s Wrong” is next and has a great groove with backing vocals from Anesha Rose. The pace slows down with “Shine On,” which is about moving on from past demons. The beat picks back up on “High Time,” which sees Anesha Rose joining in on vocals again. Next up is “I Got My Eyes On You” followed by the eight plus minute instrumental jam, “Witchcraft.” The album closes with “Forever Isn’t Long Enough,” a love song about that special someone. 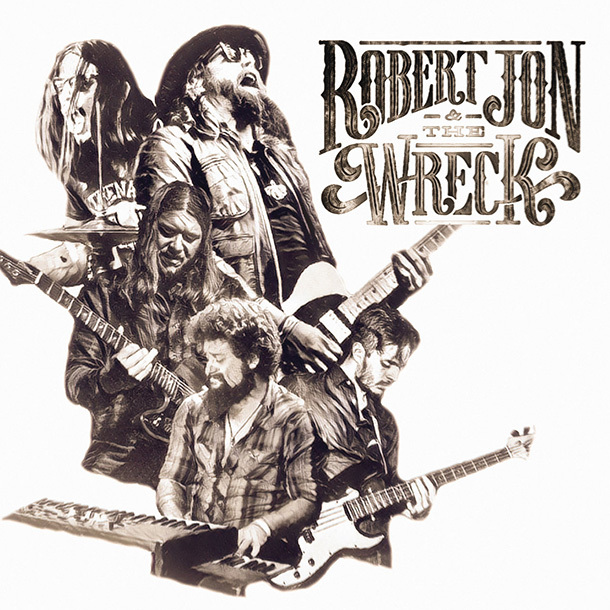 Robert Jon and the Wreck delivers another solid effort with its self-titled release. Once again, the band gives us an album filled with great hooks, grooves, and top notch playing. It’s a bit of a mystery why Robert Jon and the Wreck still seems to be flying under the radar, but this band definitely deserves more attention. Robert Jon and the Wreck is right up there with the top bands in modern blues rock.